For her last couple of concerts for Jazz North East pianist Zoe Rahman has given solo performances, holding the audience spellbound on both occasions. But now, as our contribution to GemArts’ exciting Masala Festival, she returns in the company of Scottish saxophonist Laura Macdonald, a pairing that first came together at the 2015 Glasgow Jazz Festival, where it was widely acclaimed as one of the highlights. This piano & reeds format is one with which Zoe is very familiar - over the past few years she has toured in a duo with Courtney Pine - but the collaboration with Laura allows her to explore a different repertoire, largely built around standards although including original compositions from both partners. 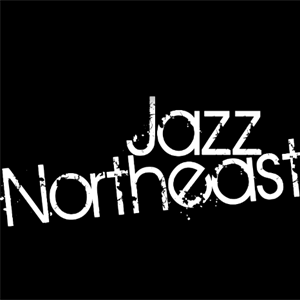 It’s also a chance for the Tyneside audience to reacquaint themselves with the great playing of Laura, who studied at America’s prestigious Berklee School of Music, became the first ever winner of the Scottish Young Jazz Musician of the Year award, and went on to an extended stint as lead alto player with the Scottish National Jazz Orchestra. She too is no stranger to the duo setting, having released an album of duets with New York pianist David Berkman. That album was enthusiastically reviewed as “Wonderful stuff . . . to be listened to and savoured time and time again, as each hearing reveals new delights” - We haven’t the slightest doubt that this teaming with Zoe Rahman will prove just as wonderful.